SPLEN Marketing Consulting abides by the federal Digital Millennium Copyright Act (DMCA) by responding to notices of alleged infringement that comply with the DMCA and other applicable laws. As part of our response, we may remove or disable access to material residing on a site that is controlled or operated by SPLEN Marketing Consulting (such as http://ariustile.com) that is claimed to be infringing, in which case we will make a good-faith attempt to contact the person who submitted the affected material so that they may make a counter notification, also in accordance with the DMCA. 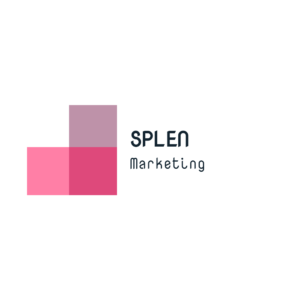 SPLEN Marketing Consulting does not control content hosted on third party websites, and cannot remove content from sites it does not own or control. If you are the copyright owner of content hosted on a third party site, and you have not authorized the use of your content, please contact the administrator of that website directly to have the content removed. Before serving either a Notice of Infringing Material or Counter-Notification, you may wish to contact a lawyer to better understand your rights and obligations under the DMCA and other applicable laws. The following notice requirements are intended to comply with SPLEN Marketing Consulting’s rights and obligations under the DMCA and, in particular, section 512(c), and do not constitute legal advice. If you believe material posted on or linked to or from this site is infringing, please provide a written, signed notice of infringement (a “DMCA Notice”) to the designated agent at the SPLEN Marketing Consulting, by fax or mail, at the address provided on our contact page. Such DMCA Notice should be in the form set forth below, which is consistent with the form suggested by the United States Digital Millennium Copyright Act (the “DMCA”).